Kanchipuram, Kanchi, or Kancheepuram is a city and a municipality in Kanchipuram district in the Indian state of Tamil Nadu. It is a temple town and the headquarters of Kanchipuram district. In ancient times it was called Kachi and Kachiampathi. 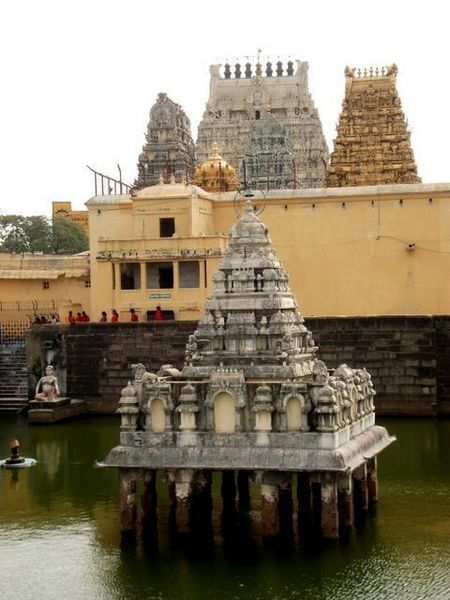 Kanchipuram is located on the Palar River, and known for its temples and silk sarees. 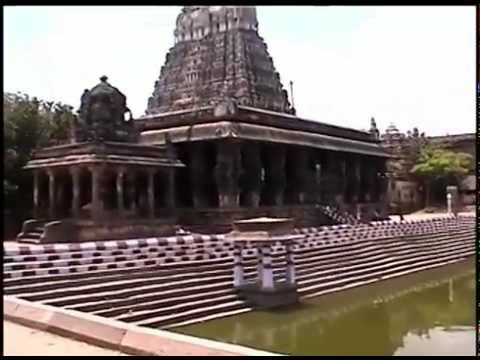 There are several big temples(including some of the greatest Shiva Temples of Tamilnadu, likeVaradharaja Perumal Temple for Lord Vishnu and Ekambaranatha Temple which is one of the five forms of abodes of Lord Siva, (it is the earth abode here, other abodes include Chidambaram (Sky), Sri Kalahasti (air), Thiruvanaikaval (water) and Tiruvannamalai (fire) ,Kamakshi Amman Temple, Varadharaja Perumal Temple, Kumara Kottam, Kachapeshwarar Temple, Kailasanathar Temple and many more.Kanchipuram is also called as “City of 1000 Temples”. Kanchipuram is also famous for its silk sarees, which are woven manually. Bodhidharma (A.D. 520) went to China from Kanchipuram to spread Buddhism. He stayed at the Shaolin Monastery and preached Buddhist ideologies. At that time he trained the local people in the art of Varmakkalai. The art underwent many changes and came to be known as Shaolin kung fu or boxing. In Japan it came to be known as karate and judo. But it is interesting to note that the Chinese school agrees with the southern school of this art in that it has the same 108 varma points. oday, apart from its temples, this small town is also known for its thriving hand loom industry. Kanchipuram town is also known as Silk City since the main profession of the people living in and around is weaving silk sarees, more than 5,000 families are engaged in this industry. The silk weavers of Kanchi settled more than 400 years ago and have given it a reputation as the producer of some of the finest silk sarees in the country. Kanchipuram in history was also been known as the ghatikasthanam or place of learning. Today several educational institutions offer courses in engineering, arts and science, and medicine, in and around Kanchi. Notable among them is Meenakshi Medical College and Research Institute located near Enathur, about 6 km from Kanchipuram. Since the Meenakshi Medical College was established in 2003, it has developed into a respectable institution of medical education. The Meenakshi hospital, which handles over 1000 outpatients every day, was established with modern infrastructure and facilities and provides service to many people in this area. Asia’s biggest international library is located at Sri Chandrasekharendra Saraswathi Viswa Mahavidyalaya University in Kanchipuram. 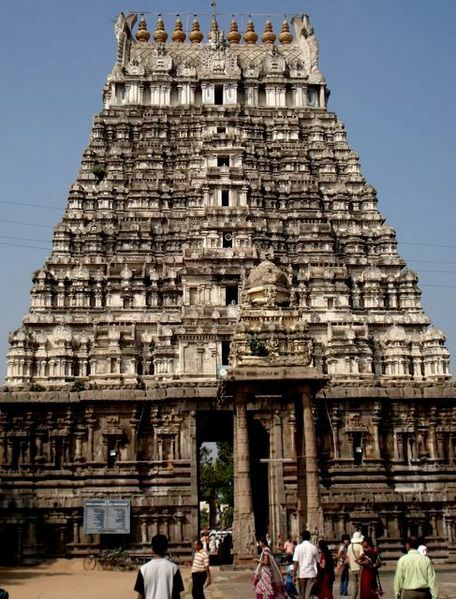 Kanchipuram is a major temple city of Tamilnadu. 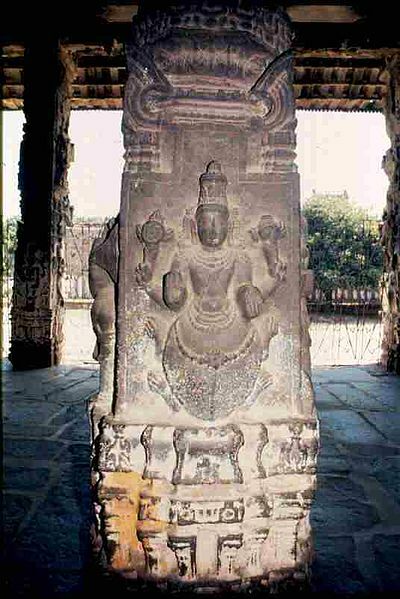 Vishwakarma Brahmin Sthapathis has shown their excellent architecture cognizance in planning the architecture and sculpting the numerous temples at Kanchipuram. The list gives the consolidated list of temples in and around Kanchipuram revered by the hymns of [Alwars] as well as Saiva Kuravars.